At WYGS, we offer a range of heating systems that allow you to program and monitor your home's heating and hot water on your phone - as well as intelligent solutions that learn your preferences, and automatically adjust to your preferred temperatures. Find out more about the smart systems we install below. Have you ever gone out and realised you forgot to turn the heating off? Fortunately, there’s no longer any need to turn around and head back – by connecting your smartphone to your boiler, the InTouch app turns your house into a smart home. 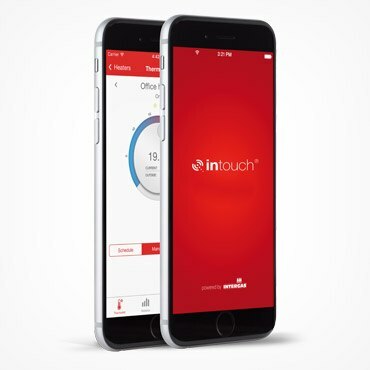 By using a LAN2RF gateway, you can connect your boiler to the internet – and then control your home’s heating from anywhere in the world via the InTouch app. The app also provides an easy-to-use, visual control system for those that struggle to program boiler panels. But best of all, the InTouch app can boost the efficiency of your heating system. By staying connected with your boiler and monitoring usage, the app can respond to varying demand and use more or less energy as needed. Although programming a thermostat has got easier and easier over the years, it’s still a chore that many of us can do without. On top of entering every start and stop time you need throughout the week, you need to decide on the right temperature, and plan for when you’re not going to be home. This is where the Nest comes in. 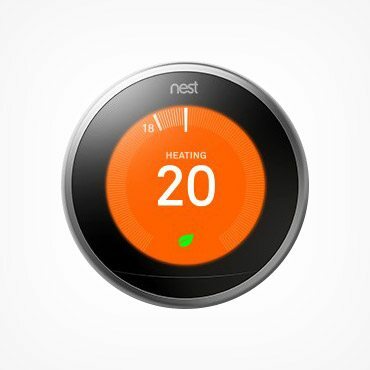 This learning thermostat means that, once installed, you just need to manually set for a few times – turn it on or off, or up or down, at certain times of the day – for a few days. The artificial intelligence inside will learn your ideal timings and preferences, and start to apply them automatically. As no two homes are exactly the same, the Nest will also learn about your home – how quickly it heats and cools, and how it’s affected by outside weather conditions – and adjust accordingly. It also turns itself down when you’re out. This smart technology can save energy, and improve the efficiency of your home’s central heating – and you’ll hardly need to do anything yourself. The Wave from Worcester is a smart, internet-connected control for your home’s central heating and hot water, with a corresponding app that allows you to monitor and control usage remotely via a phone or tablet connected to Wi-Fi, 3G or 4G. 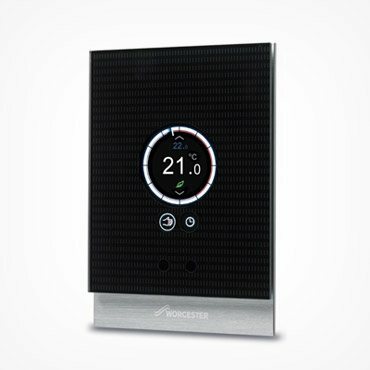 The wall panel connects with your boiler, which then connects with the app – which shows you the current temperature at home, lets you change settings, and shows whether the heating is running as efficiently as possible. As well as monitoring your smartphone’s location to adjust the heating automatically when you get home, The Wave also uses your postcode to improve efficiency by monitoring the weather – so you can install the panel wherever you please, rather than needing to find the ideal spot for a weather sensor.